Army Chief Bipin Rawat On Difficulties Of Women In Combat Role: "Have To Cocoon Her"
General Rawat said that in frontline combat there are risks of officers getting killed. 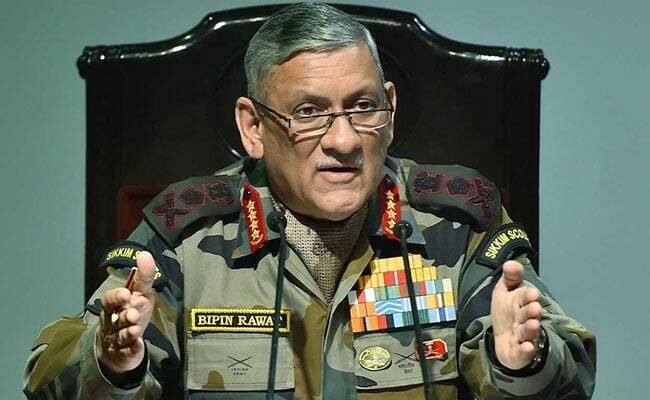 Army Chief General Bipin Rawat on Saturday said there are women officers engaged in exercises like mining and de-mining operations and also manning the air defence system, but cited difficulties in assigning them frontline combat role. He said that in frontline combat there are risks of officers getting killed. "See, I am not saying a woman who has children doesn't die. She can also die in a road accident. But in combat, when body bags come back, our country is not ready to see that," General Rawat said in an interview to CNN News 18. "We have women officers as engineers, they are doing mining and demining work. In air defence, they are manning our weapon systems. 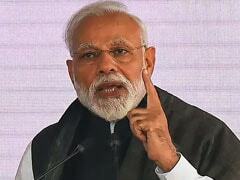 But we have not put women in frontline combat because what we are engaged in right now is a proxy war, like in Kashmir," he said. He cited logistical reason also behind not posting women on frontlines. "Our orders are that a lady officer will get a hut in the COB, then there are orders that we have to cocoon her separately. She will say somebody is peeping, so we will have to give a sheet around her," General Rawat said. The Army Chief questioned whether a women officer with commanding responsibilities can stay away from her post for long? "I am ready, it is not that army is not ready (for combat role for the women). Will she command? Okay, so now I make her a commanding officer. She is commanding a battalion. "Do I put a restriction on her to say that in that command tenure you will not be given maternity leave? If I say that, there will be ruckus created," he added.